Whether you live in Arizona, have visited, or you've only heard stories of the Grand Canyon state, you're probably familiar with what we're known best for: the heat. In some areas of the state, temperatures have historically reached the 120's, something that residents know how to deal with... Stay inside and stay cool! Unfortunately, this isn't at all an option for your new flowers or vegetable garden. Stuck outside in blazing temperatures, your plants may not do too well during the summer, especially if they are not native, heat-resilient plants. We're here to tell you, do not fear! You can still raise your plants through our summer heat. We'll give you our best tips and tricks for keeping your plants happy and healthy until the weather cools down. Water is vital for humans living in the high heat of Arizona, and it is the exact same case for your plants. 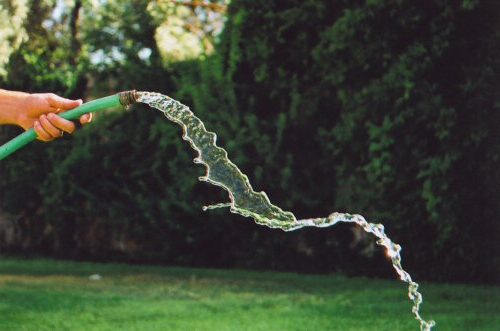 It is best to water in the morning or the evening, watering mid-day will cause loss of water due to evaporation. Add an extra day to your watering schedule, or water in the morning as well as the evening. If your plant looks a little dry or sickly, ensure that it has moist soil. With all that being said, you also need to remember that over watering can be an issue! Soil should be moist, not dry, but you should never have a puddle at the base of your plant all day. Watering is excellent, but roots also need to breath for your plant to grow healthily. Have you ever seen a strange-looking, white-painted tree trunk in the valley? These citrus trees aren't painted for the artistic value, this layer of non-toxic white paint acts as a sunblock for trees that spend a lot of time in the sun, because trees can sunburn in the Arizona heat just like we humans do. Small potted plants can be moved out of the sun during a long afternoon (another summer plant tip), but unfortunately trees can't do the same. The white paint reflects sunlight away from the tree. If you're not a fan of the white-painted look, you can purchase inexpensive tree guards. These wraps come in multiple sizes for all trees and protect your plants from the scalding sun. And remember, keeping soil a little moist throughout the day helps to keep your trees healthy in the sun light, the same way a hydrated human is better suited for time in the sun than a dehydrated one! Smalls plants, especially delicate ones planted in the ground rather than in movable pots, need shade desperately during the summer. 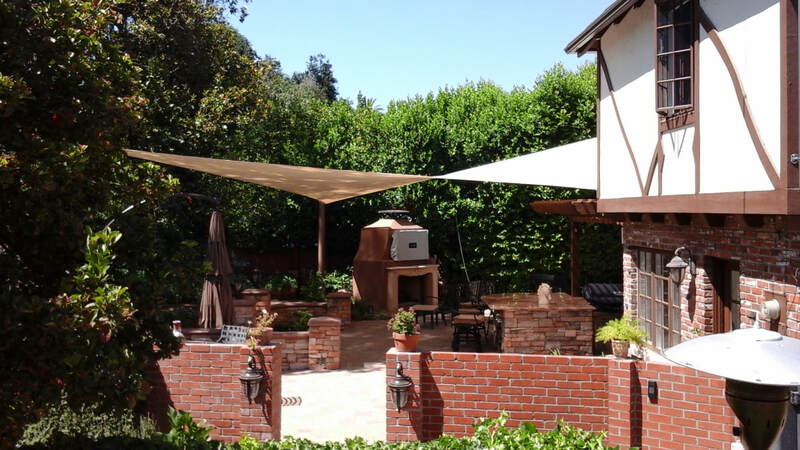 You can protect the tops of your plants by installing a shade sail, cover, or by using a temporary sheet or cloth. A cheap canopy from the camping section at your local store will work as well, and this structure can be moved as the sun moves throughout the day, for plants that need plenty of shade. 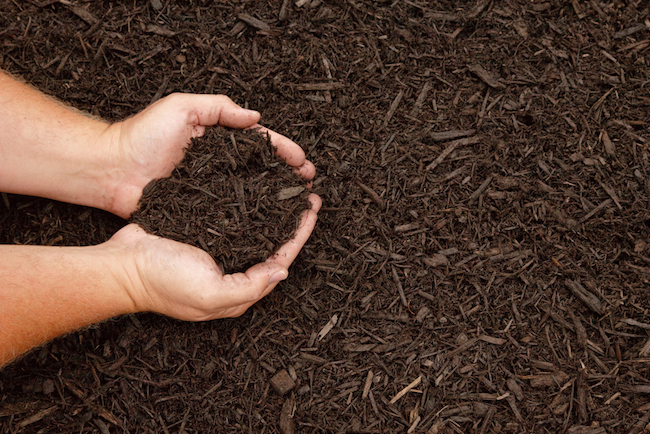 To protect roots from sunlight, add an extra layer of mulch around plants. You can also add sun-resilient flowers over the roots of trees and other plants to provide a little more protection. Understanding your plants and the signs that they show are key to good gardening. Learn to recognize when your plants have experienced stress from their environment and need extra water, shade, or attention. 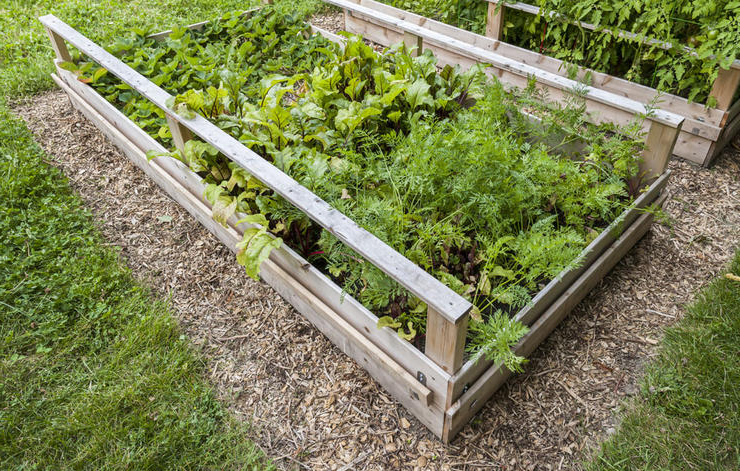 Educate yourself on how your plants grow, how they react, and any extra nutrients you can provide them with. For example, some vegetable plants, although they can handle small periods of strong sunlight, will appear to wilt by day, but this is only to conserve water. Knowing this helps you understand a plant's strange summer behavior. If you find that your plants are truly wilting and having a stressful summer, you can pass them on to a friend in another climate or a local botanical garden, and Scottsdale Landscaping can help you by adding plants that will be easy to maintain, we're the valley's outdoor experts! At Scottsdale Landscaping, we care about the health of your plants. Bright, flourishing, green plants make your home look excellent and we want to help with that. We understand proper plant care. Design your yard or garden with our team today, Scottsdale Landscaping does it all. Arizona is packed with natural and native beauty. Step outside, take a hike, and look at the bushes, cacti, and flowers that grow here. You can take inspiration from our natural landscape when designing a yard or lawn with your landscaper. Some of these plants are native to our state, others simply grow well in the valley. You may have noticed some of these plants in the wild. Many of them will provide a special pop of color to the exterior of your house, an interesting shape, or beneficial fruits to be used in your home. A common plant here in the valley, the Palo Verde is a perfect tree to compliment your home. It is a native plant to Arizona that, once established, requires little water or maintenance, aside from the flowers that fall off and will need raking. The color of the Blue Palo Verde changes throughout the year, from a blue-toned green, to a bright and beautiful yellow when it blossoms in the spring. 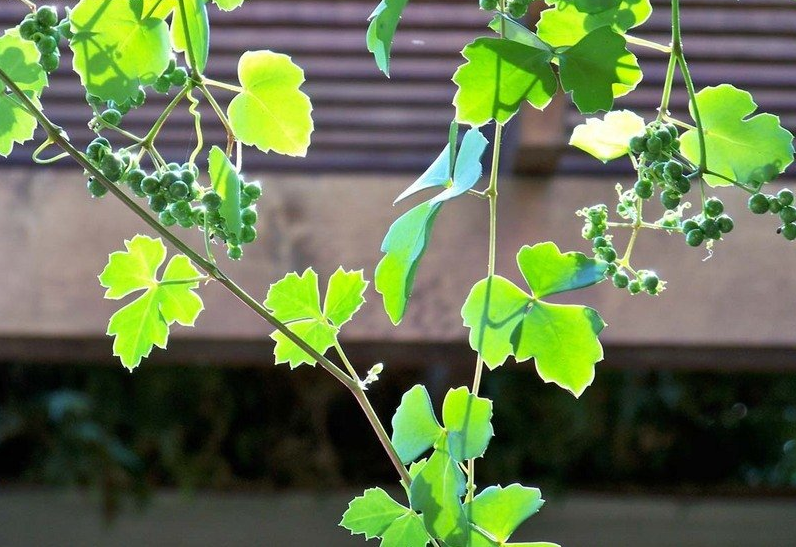 With such a small amount of work required, and a huge, vibrant payoff during the spring, the Blue Palo Verde is a wonderful plant for adding color and shade to your home. There is no doubt you have seen the relative to Autumn Sage around your neighborhood. Texas Sage is the more common version, a bright green bush with purple flowers. This red, Autumn variety of sage grows exceptionally well in the valley and like the Palo Verde, requires little water. This color variant of sage sets you apart from a street full of the typical purple Texas sage plants. The dark red tone of these summer-to-fall blooming flowers is very brilliant, and stands out among green and brown tones outdoors. Grape Ivy is a vine plant native to Arizona. It requires very little work to establish and maintain. An experienced landscaper can help you set up a vertical support structure for this plant to grow on that will compliment your home. Grape Ivy is a perfect shade of green, not too bright, and looks stylish and sophisticated growing up alongside a home, especially when complimented by other deeper-green plants or when used as a large background plant. Our landscapers can help you find where this will best fit in your home. Also a native plant to Arizona, the Prickly Pear cactus is easy to spot in the wild. 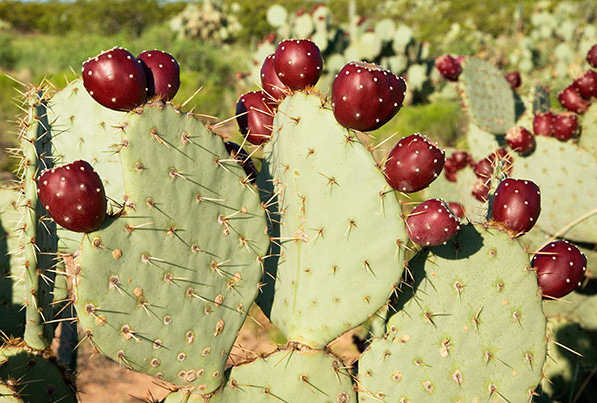 It is very common, and some people choose to eat the fruits that come from these cacti by removing spines and peeling the skin to reveal a fleshy, sweet, and very nutritious fruit. This cactus blossoms with bright and beautiful red, yellow, or purple fruit, and one flower will yield one fruit. The blossoms on cacti are unlike any other flower, and tend to look brilliant against the rest of the dull green, less-inviting prickly plant. The blossoms and benefits of fruit alone make this plant a wonderful addition to any landscape. Agave is often seen in Arizona and used heavily in landscaping. This octopus variety is a more dramatic alternative to your typical agave plant. It gives a more modern and interesting twist with its wavy leaves. Only once near the end of this plant's life, during spring, after over 10 years, will this strange succulent flower from a 15- to 20-foot stalk. This gorgeous show of golden yellow flowers is worth the wait, although it won't be difficult to achieve, as this plant takes very little work to maintain. 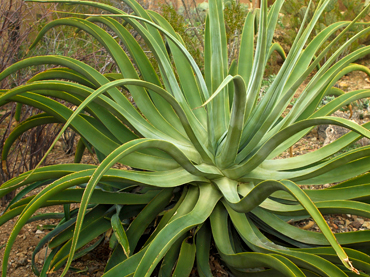 Octopus Agave provides a little originality to your landscape. This wispy yellow-green grass has a delicate and airy look. It will sway in the breeze and can add a graceful and grassy touch to a xeriscaped yard, because although it is grass-like in texture and style, it does not require a lot of water and grows well in rocky areas. Mexican Thread Grass can provide a special, soft accent when grown alone, but will also look excellent grown in a large bunch of a few plants. This grass can spread outside of the designated area it was planted in, but our experienced landscapers will help you maintain decorative plants like these, while preventing them from invading other parts of your yard. 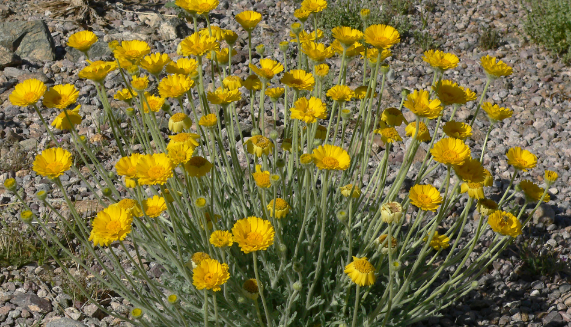 A wildflower that you can find dotting the sides of freeways in Arizona, the Desert Marigold is not an uncommon plant. Although it grows freely in the wild, the golden shade of yellow that these flowers display can serve a great purpose in your landscape plan. This golden pop is much different than the other plants listed here. It can give your yard a sunshine-like glow. Desert Marigolds can bring an uplifting feeling to your home, as their brilliant yellow evokes feelings of happiness, joy, and energy. At Scottsdale Landscaping, we have years of experience with these plants, and much, much more. We know proper design, planting, and care. Start designing with our team today, and our maintenance crew will continue to keep up your landscape looking beautiful for years to come. Whether you are looking to update your home, or a business, Scottsdale Landscaping does it all. ﻿Is a xeriscaped yard right for your home? Although it has plenty of advantages, and it's a great way to make your Arizona house stand out on your block, many homeowners have never considered switching to a xeriscaped landscape, and a few don't even know the meaning of the word! Xeriscaping is the art of transforming a yard into a gorgeous desert paradise, with gravel rather than grass, and cacti over shrubs. These landscape designs are trendy and different, but that isn't quite a bad thing. We're going to take you through the positive and negative aspects to consider when planning a potential switch to native, desert, low-water plants. Xeriscaping was created as a way to conserve water using native, low-maintenance plants. The word comes from the Greek root xeros, meaning dry or dryness. Homeowners can utilize a xeriscaped yard as a method of saving money month-to-month on water bills. Grass, trees, and flowers use much more water than their desert-based friends. Not only will you be saving money each month, you'll also be treating the earth well; a large portion of water for outdoor use (the biggest offender, watering that green grass) in the United States is wasted by poor watering practices. ​This form of landscape design requires much less maintenance compared to our more traditional lawns that are covered in grass and shrubs. Fortunately, this means that it very rare for this well-manicured landscape to look unsightly. Weeds are not a major concern and rocks do not need mowing or trimming. We still advise a less-frequent maintenance plan be provided by a landscaper to rake fallen leaves and flowers, and to trim your new plants. To some homebuyers, who may be expecting a typical bright, green, and grassy lawn, xeriscaping is a strange look. Done well, xeriscaped yards are gorgeous, colorful, and full of vibrant life. The individual style provided by xeriscaping can improve property value, and the trendy and modern look is very inciting to shoppers. There are many more plant options than you would expect in this style, also plenty of additions and installations that compliment the flora of your desert yard. Although nontraditional, xeriscaping can provide originality and true Arizona desert beauty, in a yard that would otherwise blend in with the rest of the block. ​The cost, work, and time to switch can be a major disadventage for homeowners looking to switch to a xeriscaped yard. If this is what is holding you back from converting to a beautiful and new desert space, know that there are options for you. Although more time consuming, there are less labor intensive ways to get started when removing your current landscape installations, including purchasing sprays to kill off grass over time, rather than pulling it up. Also remember, when it comes to the financial aspect, you will save money every single month on your water, and that alone is enough of a reason to make the switch. You also have the option of hiring a professional landscaping team to do the work for you. 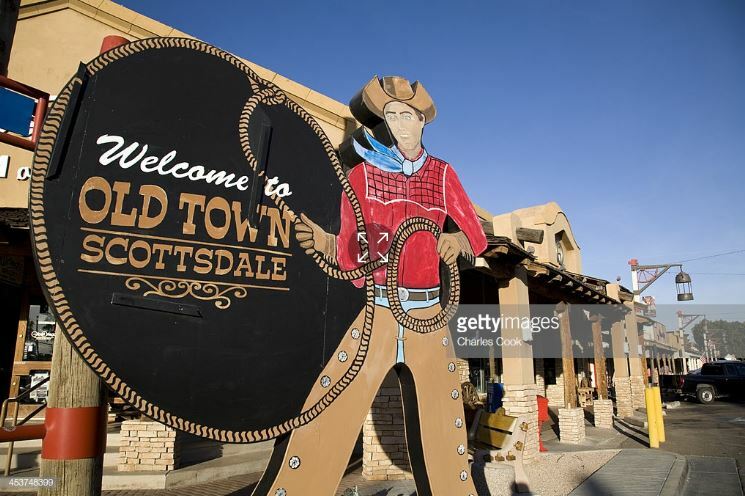 Here at Scottsdale Landscaping, we have access to the supplies needed to get the job done, saving you from renting equipment. We order supplies in bulk for all of our customers and can supply lower costs compared to shopping around for your own plants and additions. We do all the hard work, and you save money, time, and your back! Redesigning any portion of your home takes plenty of thought and consideration. When it comes to landscape remodeling, xeriscaping proves extremely beneficial compared to the installation of new, high-water usage plants that match your current lawn. The professionals at Scottsdale Landscaping can help you plan the desert yard that would work best for your budget, your time, your home, and your style. Our design group will share their expertise; our installation team will do all the heavy lifting and they will leave you with a yard guaranteed to impress. Contact Scottsdale Landscaping today to start your next outdoor project with us.